Studies show that nearly three-quarters of dogs and cats over the age of 3 suffer from periodontal disease. When left untreated, this can lead to tooth loss, infection, and damage to the kidneys, liver, and heart. 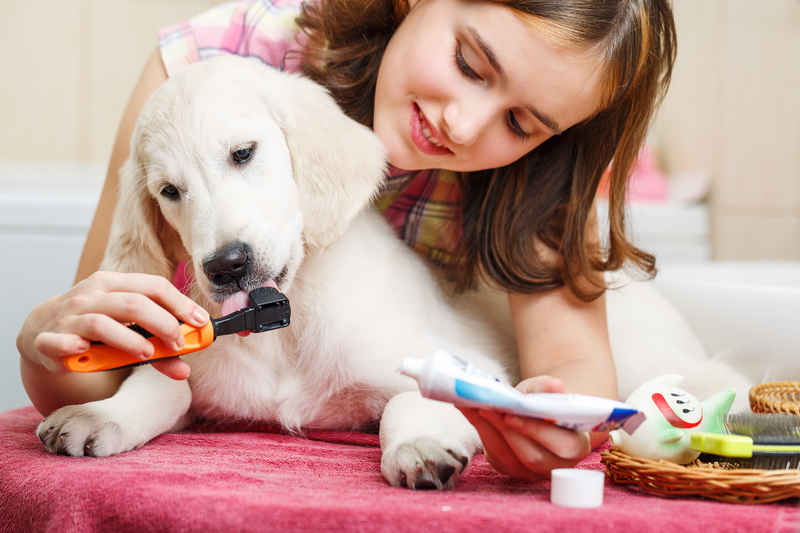 A good oral care routine is important in keeping your pet’s teeth and gums healthy. Most experts recommend yearly dental checkups and daily brushing, but be sure to consult a veterinarian for her recommendation. 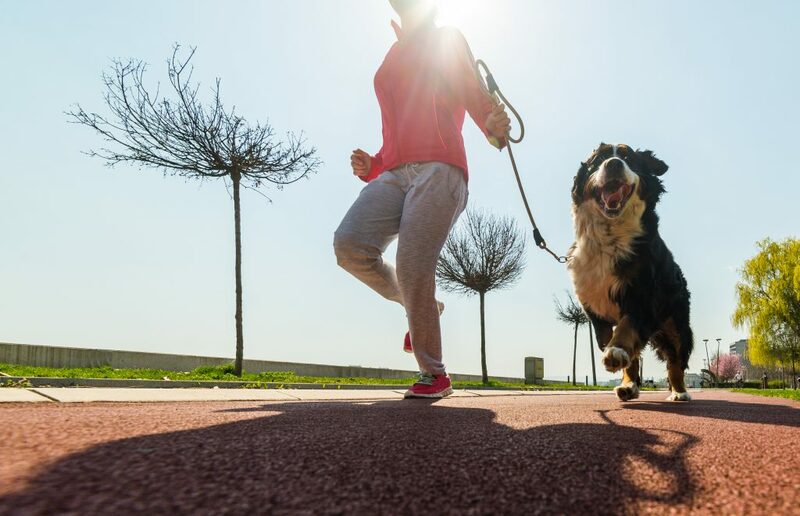 Whether you’re just beginning dental care or you regularly brush your pet’s teeth, here are some tips to keep in mind. Know the signs of periodontal disease. Bad breath, inflamed or bleeding gums, excessive drooling, and difficulty chewing are all symptoms of periodontal disease. If you notice any of these, schedule an appointment with your vet to get it checked out. Make sure you have the right products to clean your pet’s teeth. You’ll need a toothbrush or finger brush designed for pets. Keep in mind your pet’s mouth size and choose a brush to match. Since pets can’t spit out toothpaste, they’ll also need a specially formulated product just for them. Many are flavored, so your pet will be much more likely to get used to brushing if it tastes good. C.E.T. and Oravet offer a variety of dental products, including toothbrushes, finger brushes, toothpastes, and gels. If you need specific product recommendations, talk to your vet. If you don’t regularly brush your dog or cat’s teeth, gradually introduce it into her regular routine. It could take a few weeks before your pet is comfortable with brushing, so don’t rush the process. Start by getting your pet used to having her mouth, teeth, and gums touched. Once she’s comfortable with that, introduce toothpaste by letting her smell and lick it. If she seems uninterested in the toothpaste, you may want to try another flavor. Next, show her the toothbrush, allowing her to smell and lick it while you rub it on her face and lips. If your pet is especially skittish, try a piece of gauze instead. When your pet gets used to that, you’re ready to try brushing. Begin with only a few teeth the first few times you brush, then gradually introduce more teeth. Holding the toothbrush at a 45-degree angle, brush in circular motions. Focus on the outside surfaces and try to spend 30 seconds on each side of the mouth. You may need to lift your pet’s lips to reach some areas. When working each area, give a final downward stroke to dislodge the tartar. Don’t worry if you can’t get to the back side of your pet’s teeth. Tartar doesn’t usually accumulate there. Incorporate dental treats and toys. While they’re not a substitute for regular brushing, dental treats and toys can help with oral health. The chewing action loosens tartar, reduces plaque, and prevents bad breath. Some treats and toys even have ridges that help clean between your pet’s teeth and stimulate the gums. Since not all pets should be given dental chews, be sure to check with your vet first. A capful added to your pet’s water bowl helps reduces plaque buildup, tartar, and the accumulation of bacteria. Water additives from brands like Oxyfresh don’t contain alcohol or harsh chemicals. Plus it’s tasteless and odorless, so your pet won’t even notice it’s there. Talk to your vet to see if a dental rinse should be added to your pet’s oral care routine. Check with your vet about feeding your pet a dental-specific diet. 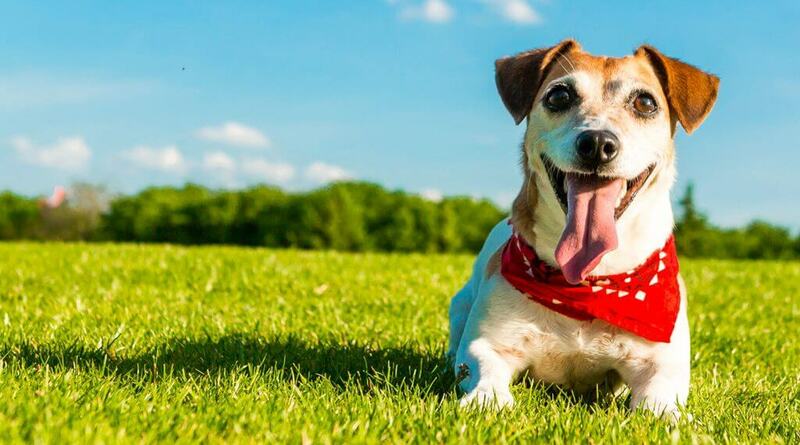 Some specially formulated diets can improve your pet’s dental health. They consist of pieces of kibble with a rough texture. Chewing it performs a scrubbing action that cleans the teeth. These diets are not suitable for all animals, so be sure to ask your vet if this is a good solution for your furry friend.